In this research consumers were surveyed, who purchase in three categories: automotive, technology and consumer packaged goods. Here is a glimpse into the Survey. 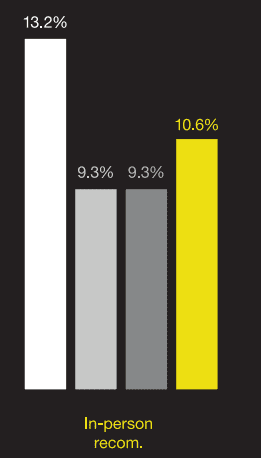 The Return on A Share report can be downloaded from their website. On-line sharing of content impacts consumer spend across the industries, and the survey measured the 'value of worth' by strength and price levels. 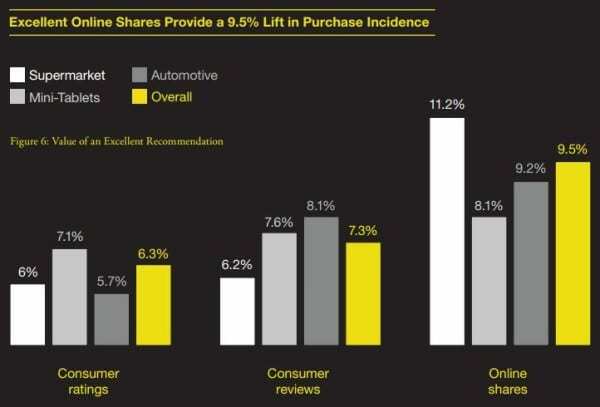 It was prominent in the findings that 'online sharing beat general consumer reviews and ratings across the board' as shown by this chart showing the impact on purchase of an excellent level of social shares. 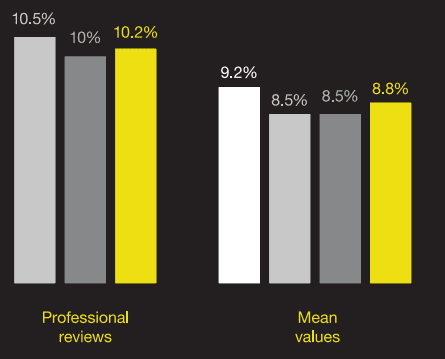 Positive recommendations can enable companies to charge higher prices. Recommendations from a friend, close family for a store brand and online shares are valued highly and create a greater 'perceived value' by different recommendations. An online share is perceived as the same value as in-person recommendation. What does effective social proof look like in practice on a retail site? 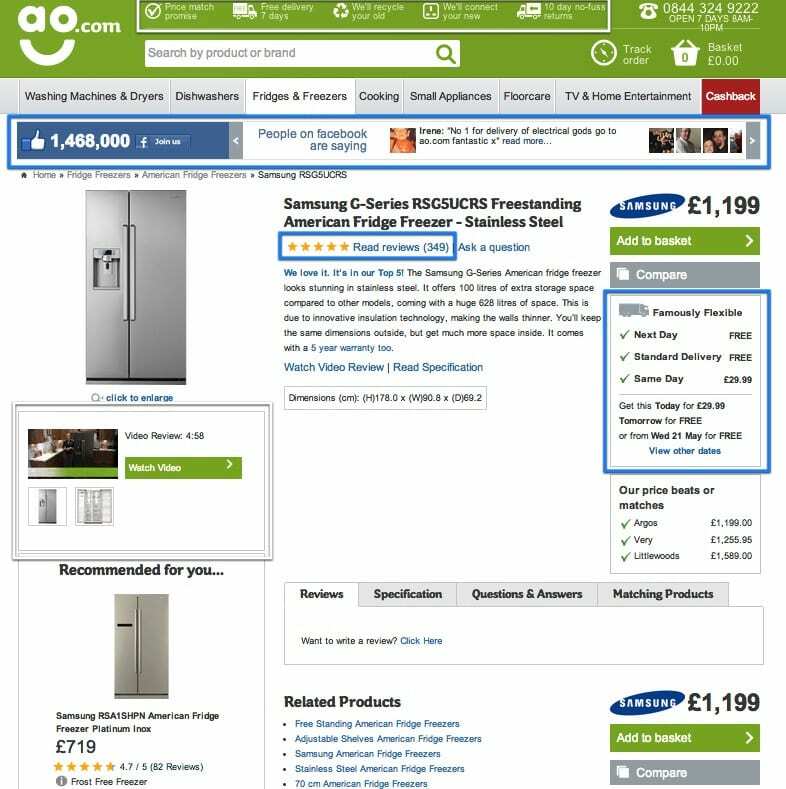 We like the approach of ao.com which features both reviews from Facebook, total Facebook fans and reviews for the product. See my interview with Matt Lawson of ao.com for more background on their approach to CRO and this article on the impact of video reviews on conversion.